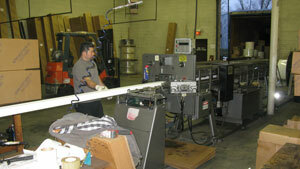 The Action Sheet Metal warehouses span over 20,000 square feet. The Woodbridge facility is used for manufacturing and storage; while the Alexandria facility is our main office, housing our secretarial staff and install teams. These facilities have grown over the years and have allowed us to keep pace with the evolution of the gutter world.